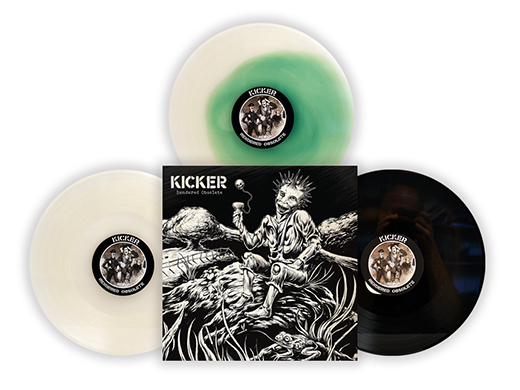 Fronted by legendary Pete the Roadie, KICKER is pure punk from members of Neurosis and Dystopia, for fans of Rudimentary Peni and Subhumans. Pete, who for the past 30-odd years has roadied for the Subhumans, Amebix, Chumbawamba, Fugazi, Jello Biafra, and just about everyone else, has clearly established himself as more than just a roadie. 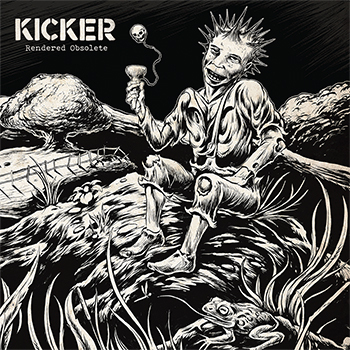 Following up their 2012 full-length “Not You” (Tank Crimes), this album is full of the same cheeky and clever, catchy 2 minute hit-you-over-the-head bouts of realism that got them so much acclaim right out of the gate. Pete’s energy, dedication, and booze-soaked cockney exuberance, and the rest of the band’s sheer talent and experience is so clear, and inspiring - and the reason why punks, skins, metalheads, drunks, and everyone else at the bar loves them so much. Here are nine new tracks to convince you.